As many as 15 million children are caught up in violent conflicts in the Central African Republic, Iraq, South Sudan, the State of Palestine, Syria and Ukraine – including those internally displaced or living as refugees. Globally, an estimated 230 million children currently live in countries and areas affected by armed conflicts. In 2014, hundreds of children have been kidnapped from their schools or on their way to school. Tens of thousands have been recruited or used by armed forces and groups. Attacks on education and health facilities and use of schools for military purposes have increased in many places. In Gaza, 54,000 children were left homeless as a result of the 50-day conflict during the summer that also saw 538 children killed, and more than 3,370 injured. In Syria, with more than 7.3 million children affected by the conflict including 1.7 million child refugees, the United Nations verified at least 35 attacks on schools in the first nine months of the year, which killed 105 children and injured nearly 300 others. In Iraq, where an estimated 2.7 million children are affected by conflict, at least 700 children are believed to have been maimed, killed or even executed this year. In both countries, children have been victims of, witnesses to and even perpetrators of increasingly brutal and extreme violence. In South Sudan, an estimated 235,000 children under five are suffering from severe acute malnutrition. 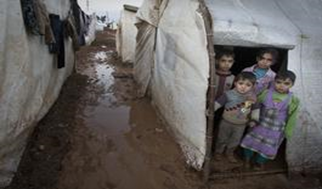 Almost 750,000 children have been displaced and more than 320,000 are living as refugees. According to UN verified data, more than 600 children have been killed and over 200 maimed this year, and around 12,000 children are now being used by armed forces and groups. The sheer number of crises in 2014 meant that many were quickly forgotten or captured little attention. Protracted crises in countries like Afghanistan, the Democratic Republic of the Congo, Nigeria, Pakistan, Somalia, Sudan and Yemen, continued to claim even more young lives and futures. This year has also posed significant new threats to children’s health and well-being, most notably the Ebola outbreak in Guinea, Liberia, and Sierra Leone, which has left thousands of children orphaned and an estimated 5 million out of school. Despite the tremendous challenges children have faced in 2014, there has been hope for millions of children affected by conflict and crisis. In the face of access restrictions, insecurity, and funding challenges, humanitarian organizations including UNICEF have worked together to provide life-saving assistance and other critical services like education and emotional support to help children growing up in some of the most dangerous places in the world. In Central African Republic, a campaign is under way to get 662,000 children back to school as the security situation permits. Nearly 68 million doses of the oral polio vaccine were delivered to countries in the Middle East to stem a polio outbreak in Iraq and Syria. In South Sudan, more than 70,000 children were treated for severe malnutrition. In Ebola-hit countries, work continues to combat the virus in local communities through support for community care centres and Ebola treatment Units; through training of health workers and awareness-raising campaigns to reduce the risks of transmission; and through supporting children orphaned by Ebola.